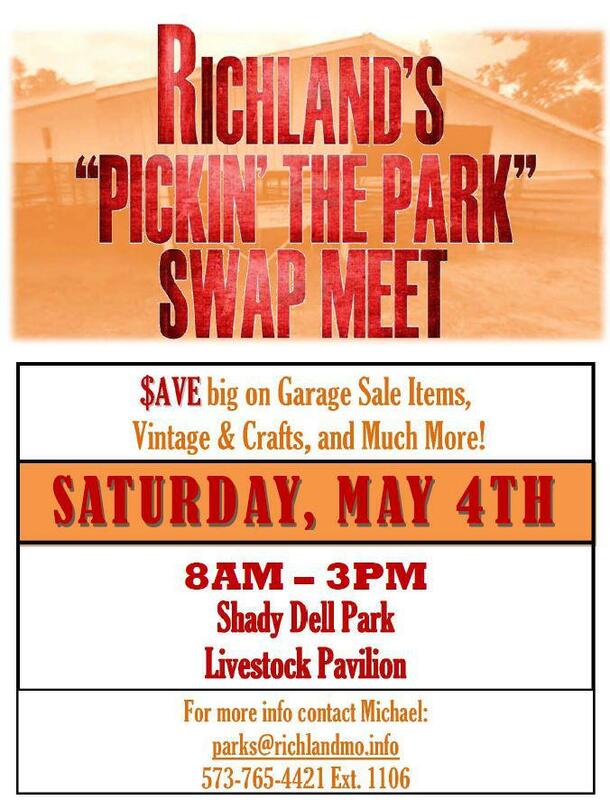 What: Experience life in the pre 1840’s fur trade at the Mountain Man / Black Powder Family Fun Day April 27th. 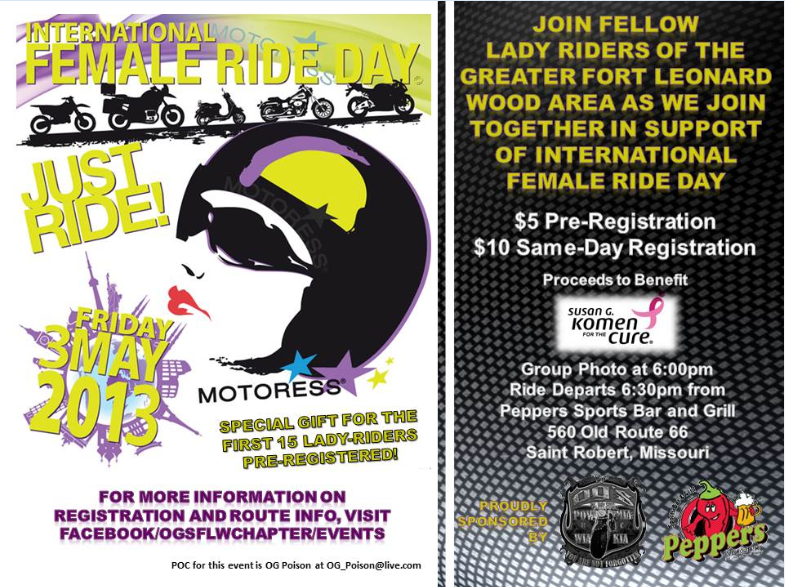 Enjoy food, tomahawk throwing, dutch oven cooking demonstrations, Indian song writing, and more. 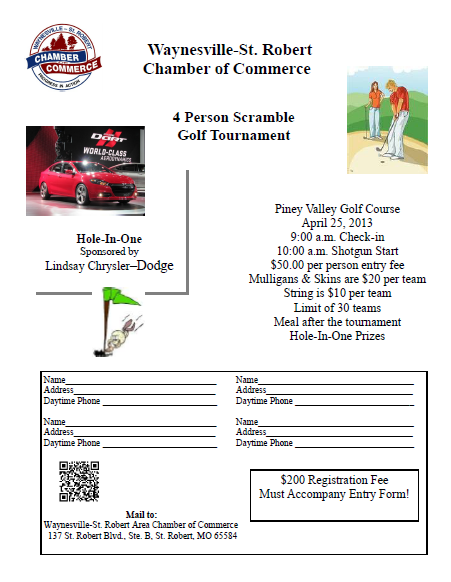 Waynesville-St. Robert Chamber of Commerce hosts 4 Person Scramble Golf Tournament at Piney Valley Golf Course April 25, 2013. 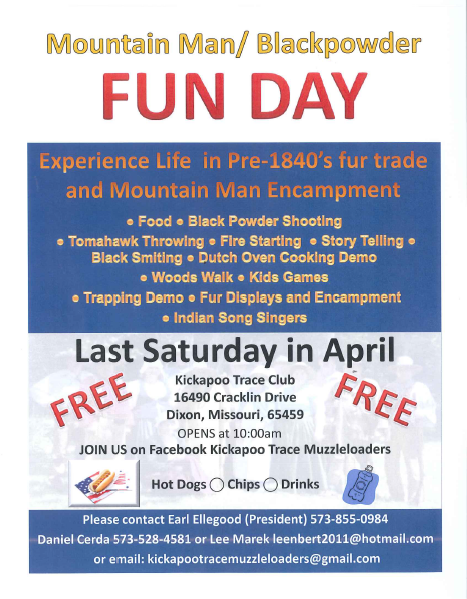 Kickapoo Trace Club hosts its annual Mountain Man / Blackpowder Fun Day at 16490 Cracklin Drive, Dixon on April 27, 2013. 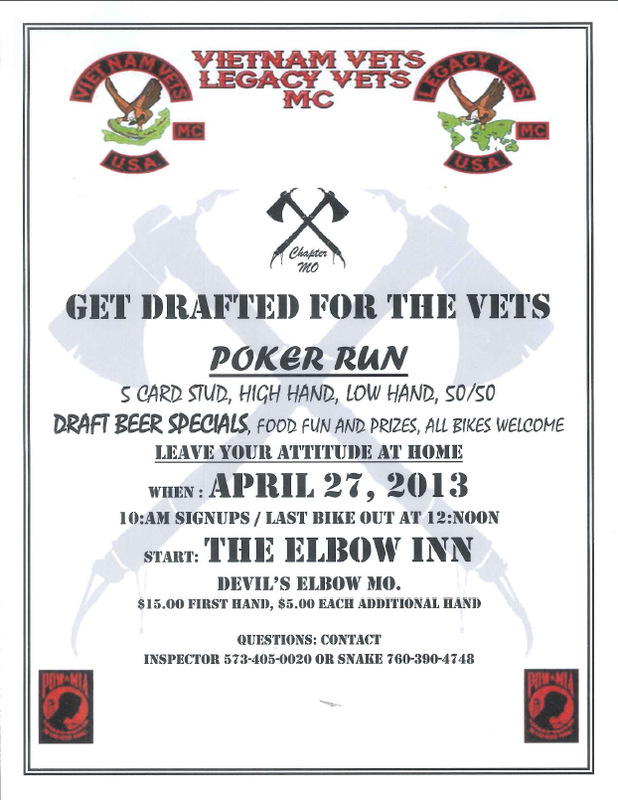 Vietnam Vets / Legacy Vets MC host a poker run at Elbow Inn Bar & BBQ in Devils Elbow April 27, 2013. 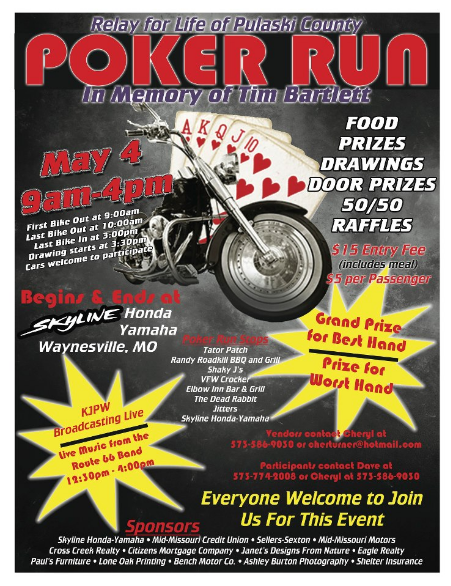 St. Robert rises to life on Interstate 44 as a welcome destination for weary travelers. Boasting over 1,700 hotel rooms and a wide variety of American and International cuisine restaurants, St. Robert is the perfect stop as the sun fades on a long day- but it also provides a destination in itself. 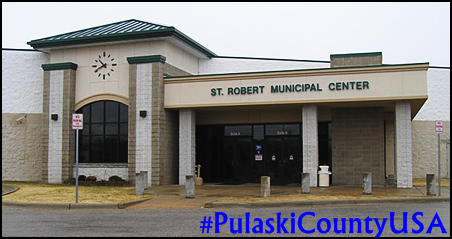 The youngest city in Pulaski County, Missouri, St. Robert is the business hub for surrounding communities. 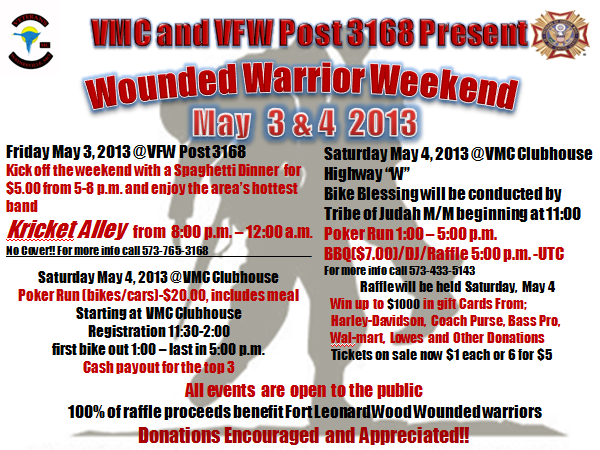 National franchises and local merchants give way to the main entrance of Fort Leonard Wood, home of the U.S. Army’s Maneuver Support Center and training post for the Engineer, Chemical, and Military Police Corps. Visitors have always enjoyed sunny afternoons in St. Robert’s parks. 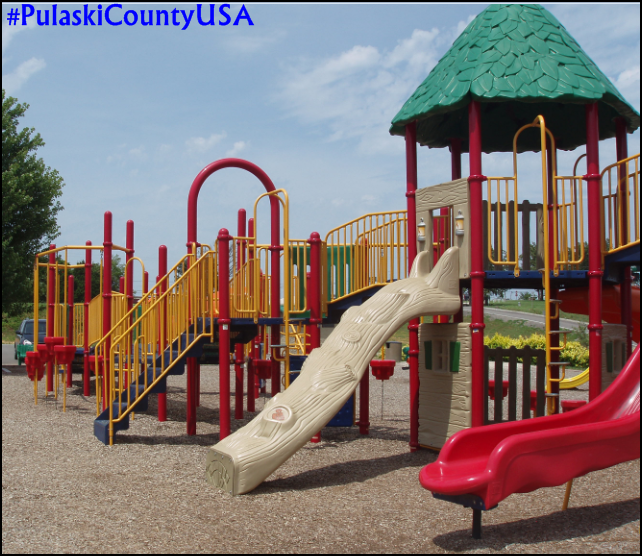 The town is proud of its dedication to community and family; picnic areas, playground areas, skate park, and Tiger Pride Aquatic Center provide afternoons of diversion for families. 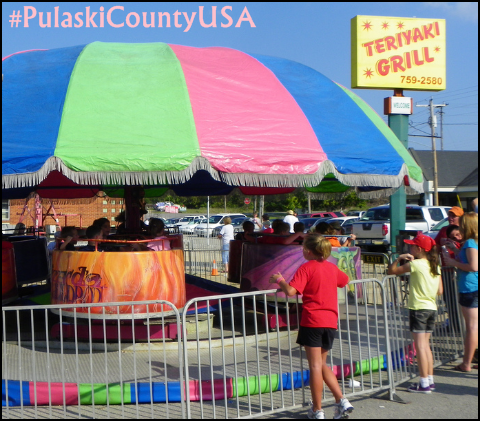 The St. Robert Community Center is home to car shows, the Pulaski County Fair, Black Powder trade show and many more events throughout the year. 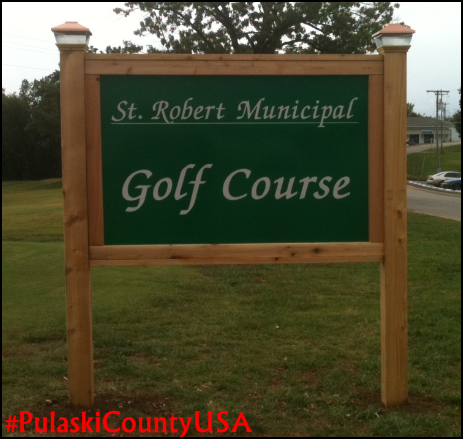 Learn more about St. Robert at the Municipal Center Museum, play a round of golf at Municipal Golf Course, a par 3, 9 hole, pitch & putt course. Be one of the first to play the only course in the Midwest with synthetic greens! 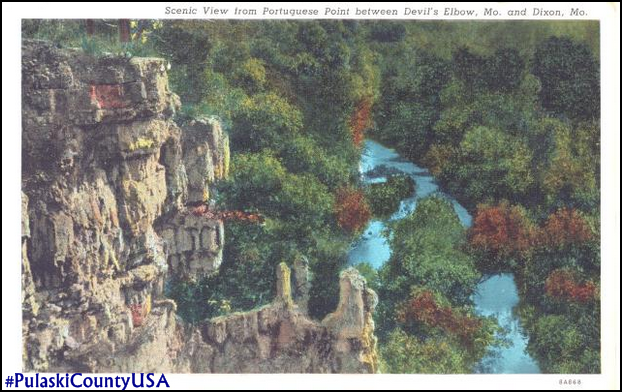 The paved walking trails that line the city complete the local landscape and provide an outdoor diversion for travelers. 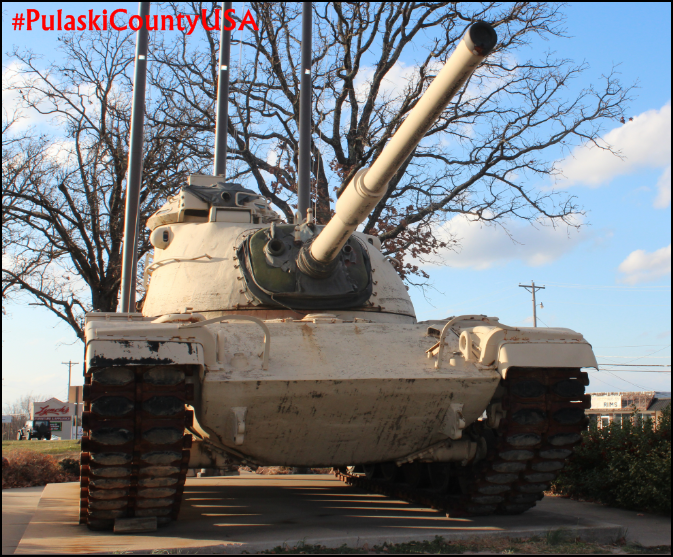 There are even park areas that pay proud tribute to the Armed Forces and neighboring Fort Leonard Wood with the presence of decommissioned Army and Marine vehicles. The authentic pieces make great photo opportunities. Visitors have always enjoyed sunny afternoons in St. Robert’s parks. 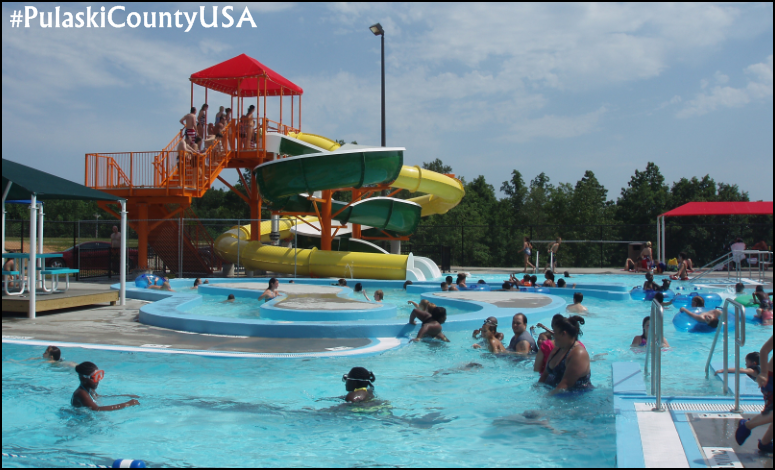 Tiger Pride Aquatic Center provide afternoons of diversion for families. 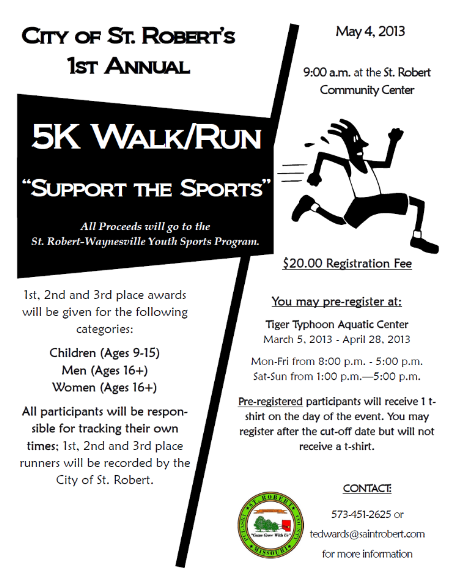 Learn more about St. Robert at the Municipal Center Museum. 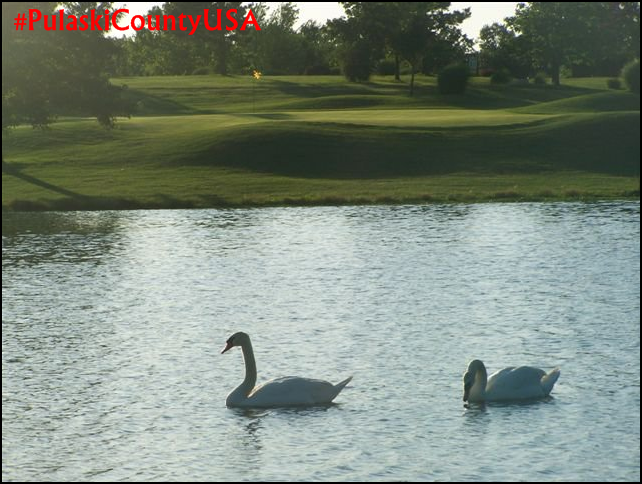 Municipal Golf Course in St. Robert is the only course in the Midwest with synthetic greens. Reed Park, on historic Route 66 in St. Robert is a great photo opportunity! 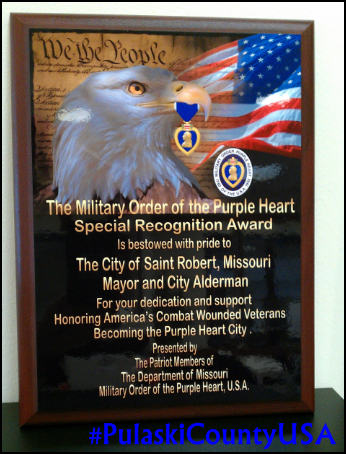 On January 7th, 2013 St. Robert became a Purple Heart City on the Interstate 44 Purple Heart Trail. 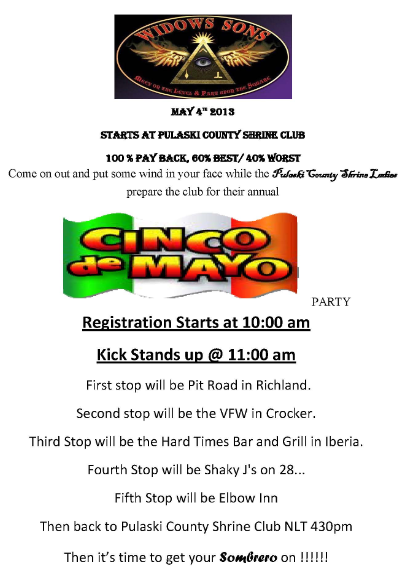 Pulaski County became a Purple Heart County on the I-44 Purple Heart Trail February 14th of the same year, and St. Robert’s sister city, Waynesville, became a Purple Heart City on March 21, 2013. 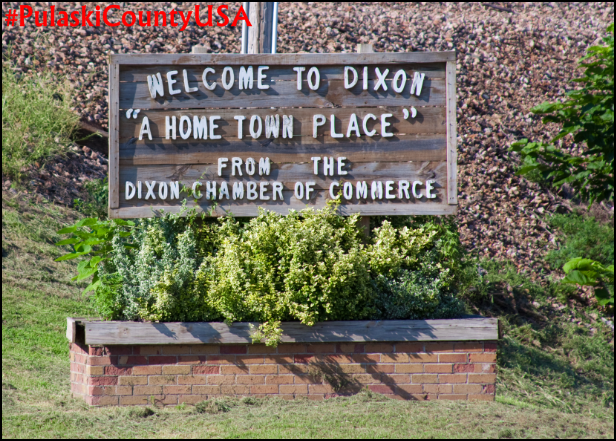 Receiving the Purple Heart designation expresses the desire of the cities and the county to remember and recognize veterans who are recipients of the Purple Heart Medal and is another indicator of the prevalent patriotism that runs deep in Pulaski County USA. 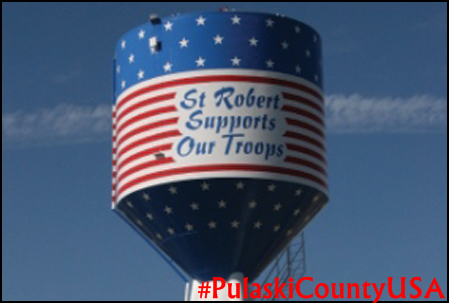 Saint Robert’s patriotic themed water tower was a finalist in Tnemec’s 2012 Tank of the Year competition.The three legs of this water tower point to the three rivers (Big Piney, Gasconade, & Roubidoux) in Pulaski County USA. 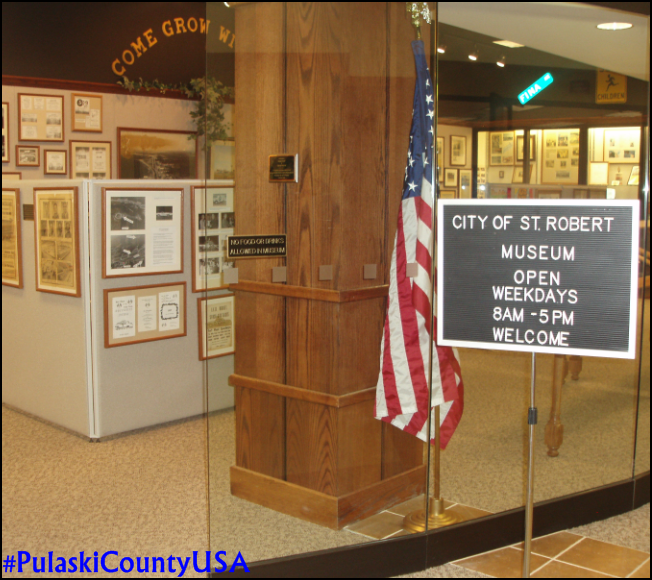 Saint Robert was the second city in Missouri, and the first on Interstate 44, to be recognized as a Purple Heart City.